The other day I wrote about Ōmori and I mentioned that there was a paleolithic trash dump there that was the first archaeological dig in Japan. I had a little free time so I decided to check it out and take some pictures for the site. Actually, it was a lot less interesting than I thought it would be, but I don’t want the pictures to go to waste. Hopefully, there’s some interesting stuff in here for you. Near Omori Station there is a monument commemorating the 100 year anniversary of the discovery and excavation of the shell mound. Plaque describing Edward Morse’s contribution to Japanese archaeology and anthropology. Today, the site of the shell mound is a quiet park. After passing through the gate you walk up a hill (it was a “mound” after all). For some reason there was an English sign. This is the only English at the site. A panoramic shot of the excavation site. (Click to enlarge). The structure in the background seems to be a reinforcement of the side of the shell mound. If you walk around it, you can actually go up to the top and get a feel for how tall the mound actually is. I’ll explain the water in the middle later. A statue of Edward Morse looking at some Jomon pottery. An old plaque commemorating the site. Note the Japanese is written left to right as it was before the American Occupation. Then a train passed by. Omori means “Great Forest” and the area is still wooded today. View from the top of the mound. Notice the train passing by below. The reinforcing wall serves as a rest area. There are chairs and the walls are decorated with shells. Every so often mist comes up from the ground in the center of the chill out area. Across from Omori Station I stumbled across a shrine called Sanno Hie Shrine. 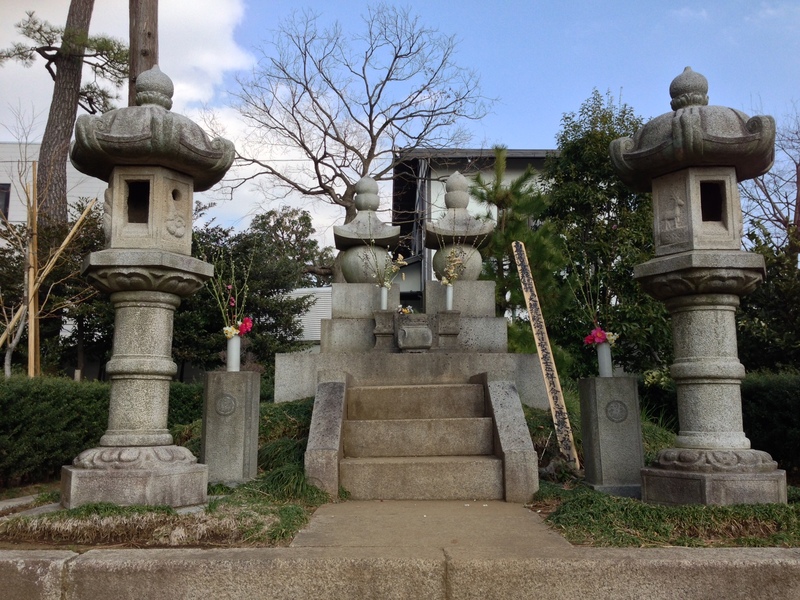 Check out my article on Tameike-Sanno for a little background on another shrine with the same name. This gave me a great idea for an article. A view of some stone lanterns and the washbasin for ritual purification and the main building. There were two smaller shrines to the left of the main hall. My Ii Naosuke t-shirt always gets lots of strange looks. This is a massive ginkgo tree that 3rd shogun Tokugawa Iemitsu planted in 1641 at Shiba Toshogu.